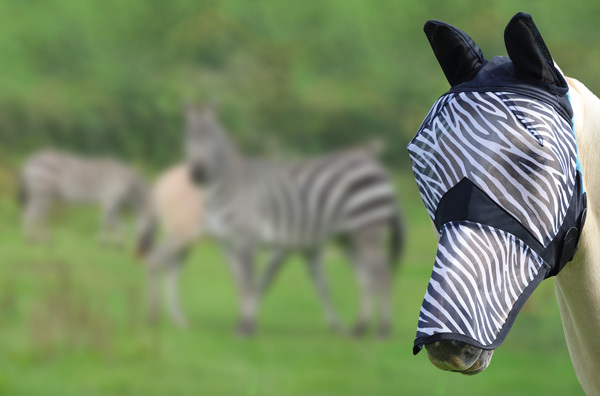 Taking inspiration from nature together with proven design technology, this fly mask aspires to be the most effective deterrent to bothersome flies and biting insects. The fine mesh fly veil features air stream fabric ears and a nose extension for excellent protection against small flies and midges. 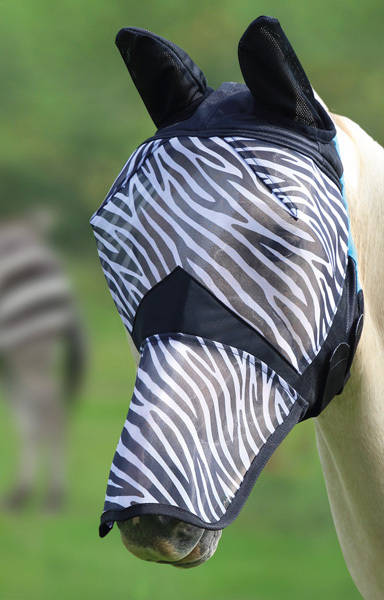 Ergonomic shaping and fleece padding along the seams keeps the fly mask away from the eyes and reduces gaps. Adjustable touch close safety straps allow for a snug fit.